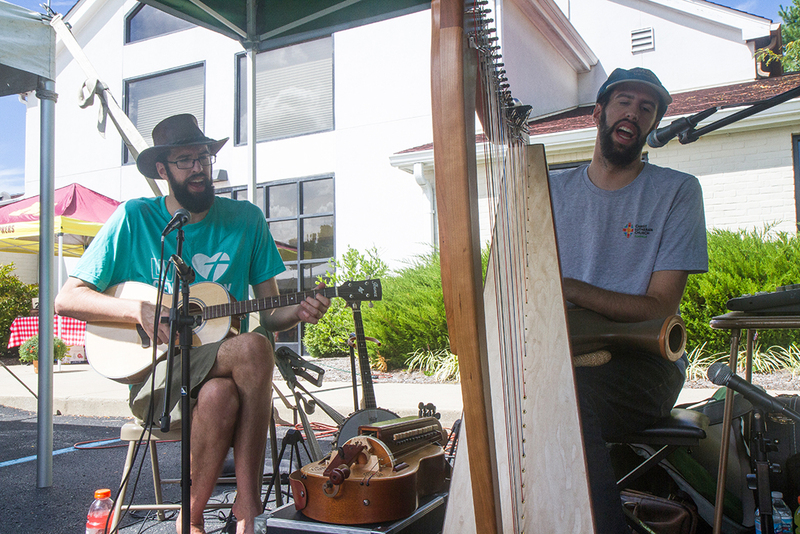 Brothers Christopher Burrus, left, and Nicholas Burrus performed Celtic music, which they learned to play about a year ago. The siblings are extraordinarily talented musicians in a variety of styles and often perform for the church. 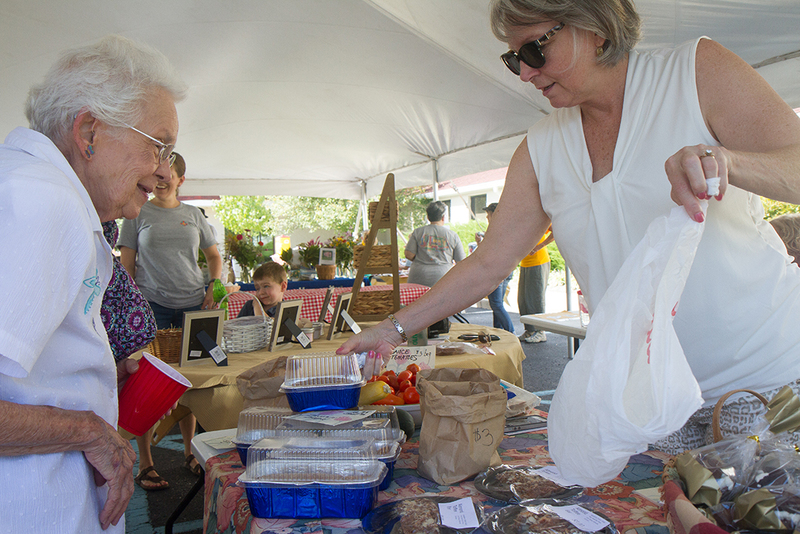 Rose Conrad sells sweets to Georgiana Schroeder, a 60-year resident of Zionsville. 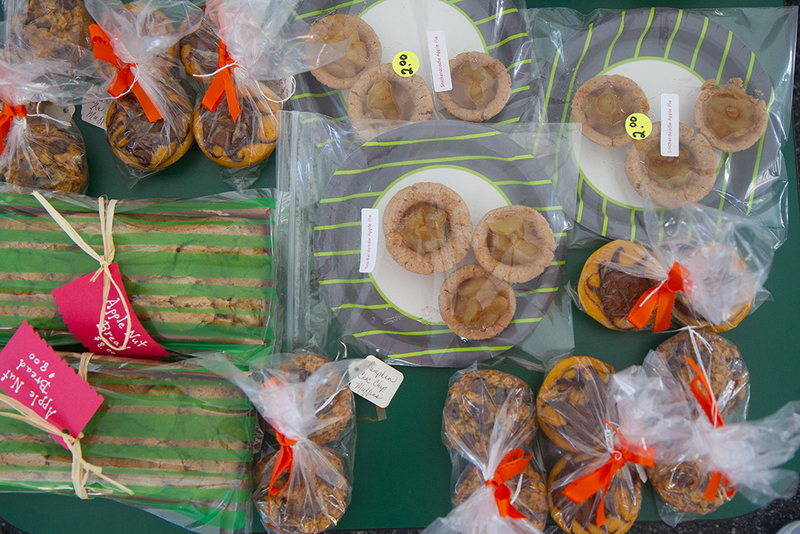 Baked goods for sale were made with apple and pumpkin. Pop-up farmer’s markets across the nation offer locally grown produce, handmade items, live music and more. With a new twist on an age-old tradition, members of Christ Lutheran Church of Zionsville hosted a market where the proceeds benefited local charities Boone County Caring Center, Habitat for Humanity, Lutheran Disaster Response and Lutheran Child & Family Services. Shoppers were given a piece of paper to total their items and pay at the end. Individual booth sales will be tracked so the donations will go to the charity designated by each vendor. 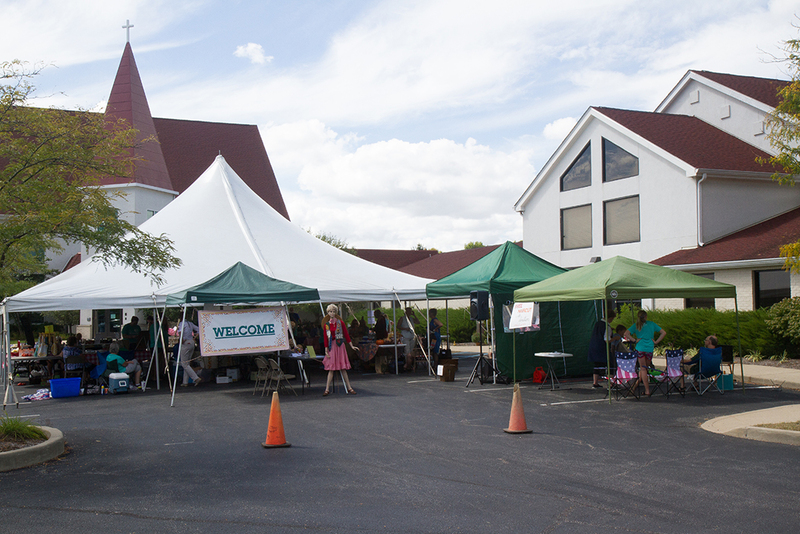 The Christ Lutheran Church congregation held the Sept. 16 market in its church parking lot. Items available for purchase included fresh local produce and baked goods; handmade lip balm, soap and bath bombs; handmade gift items; homemade pickles and jams; used children’s books and more. The event included a youth car wash and live music, performed by twin brothers and Zionsville Community High School graduates Nicholas and Christopher Burrus. “We are blessed to be able to connect with the Zionsville community by offering shoppers the opportunity to support local artisans and give to deserving charities at the same time,” said Carol Smith, co-chair of the Christ Lutheran Church Service Network.